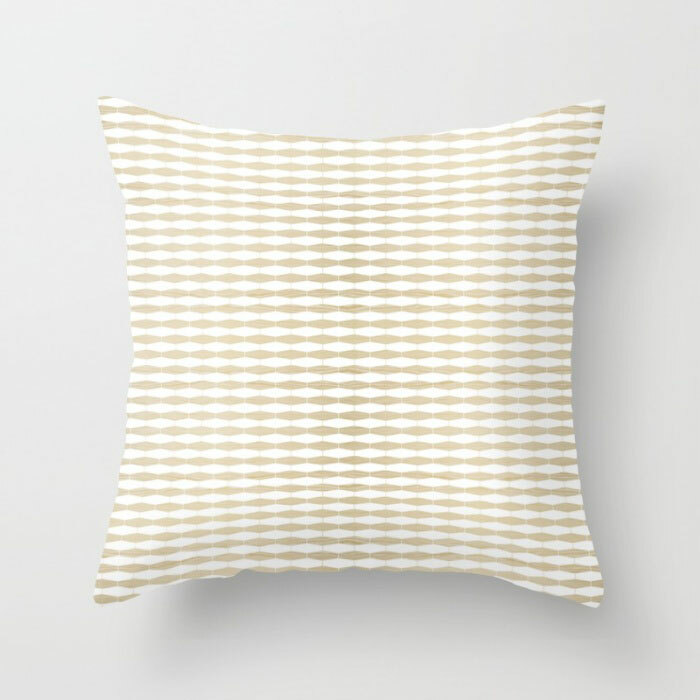 Abundant honeycomb cells fill the framework of this throw pillow. Interwoven contrasting zebrawood and ebony woods create a vibrant pattern. Pillow insert extra. Price starts at $20. A rhythmic design adds lively geometric dimension to accents of wood. a modern basket weave design of zebrawood and ebony wood-grain. this textural design makes a stylish accent to your seating. 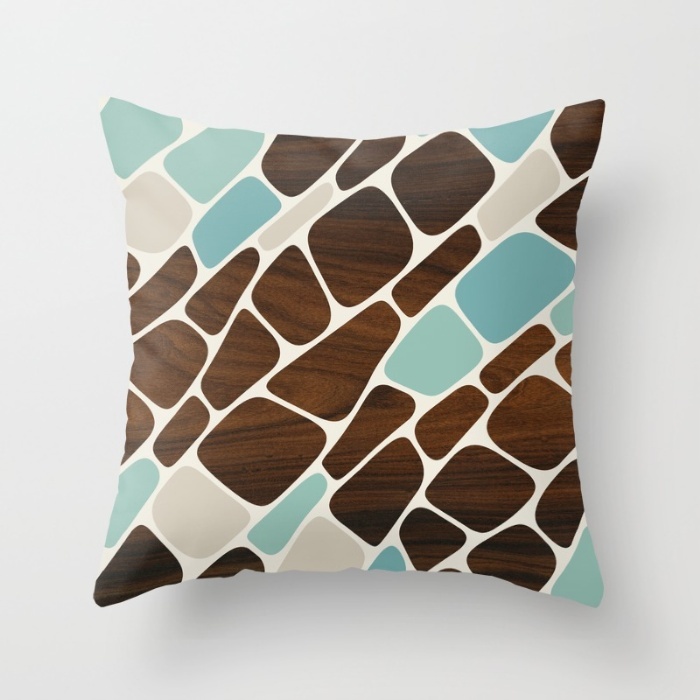 Individually cut and sewn by hand, the pillow cover is offered in 3 sizes, and features a double-sided print.